The bench asked the state government to file a report on working conditions of doctors at B J Medical College in Pune, Government Medical Colleges in Miraj and Ambejogai in Beed, and JJ hospital in Mumbai. The bench also asked the state to inform it about the steps it has taken to improve or rectify the situation. The bench was hearing a petition filed by activist Afaq Mandaviya seeking action against doctors, who had gone on mass leave last week to protest attacks on them. Nearly 4,000 resident doctors across Maharashtra had stayed away from work for several days since March 20, demanding enhanced security in the wake of a string of attacks on doctors by patients’ relatives. 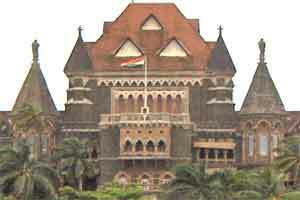 They had called off their stir five days later following an ultimatum by the Bombay High Court and Chief Minister Devendra Fadnavis. The Maharashtra Association of Resident Doctors (MARD) informed the court that doctors, who abstained from duty last week, had resumed work. The HC had earlier directed the doctors to resume work immediately and hoped that their demands would be settled amicably with the state government. The state’s Advocate General Rohit Deo had informed the HC last week that the government has decided to deploy an additional 1,100 armed police personnel from Maharashtra State Security Corporation at all the state and civic-run hospitals. “The first lot of 500 police personnel will be deployed at hospitals in Mumbai on April 5, while the remaining 600 will be deployed at hospitals across the state by April 30. This will be in addition to the already deployed policemen at the hospitals,” Deo had said. The petition was posted for further hearing after two weeks.